THE WORLD OF SWEET REGGAE MUSIC!! Buju Banton is back in the studio with Stephen Marley and producer Lenky. Buju Banton is already working on his post-prison album due sometime early next year. The reggae superstar was spotted in the studio earlier this week with his longtime producer Lenky. 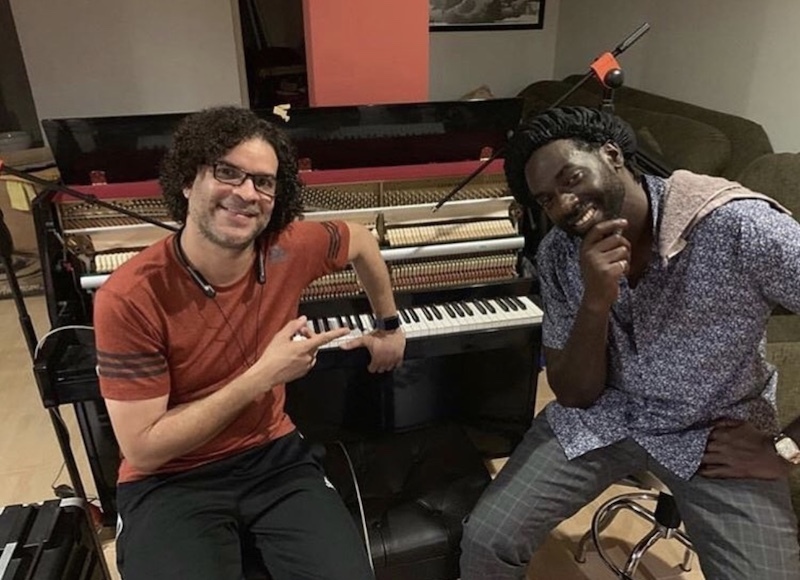 Buju was again spotted in a rehearsal session with his close friend and reggae royalty Stephen Marley, which means that they likely have a show coming up soon. Buju Banton and Stephen Marley have been close friends for years. Back in 2010, Stephen put up his Miami mansion as security for Buju’s US$300,000 bail. Gargamel was released on bail in November 2010 after his first trial ended in a hung jury. Prosecutors then proceed with a retrial which ended with the reggae star being found guilty on three counts of cocaine trafficking. Banton, whose real name is Mark Myrie, was sentenced to ten years in federal prison for the crimes. He was credited for time already serves and ended up serving just over seven years in prison. The Grammy-winning reggae singer who was released from the infamous McRae Correctional Facility in Georgia recently and flew to Jamaica the same day of his release. After spending the first few days with his family, Buju Banton is back in the studio. He has yet to shed any additional details on his forthcoming album, but we’re told that it will arrive early next year.